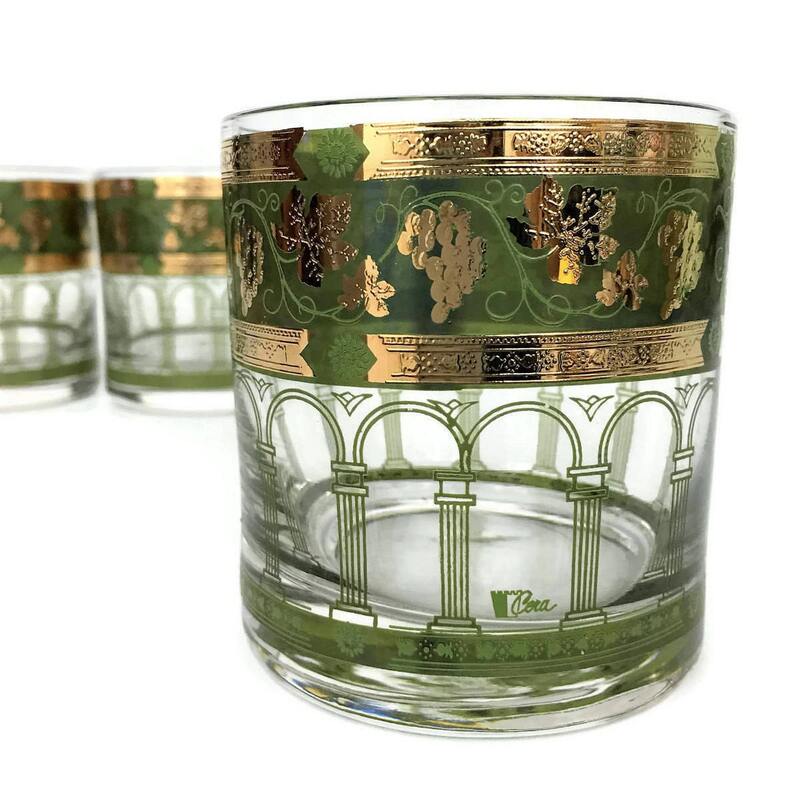 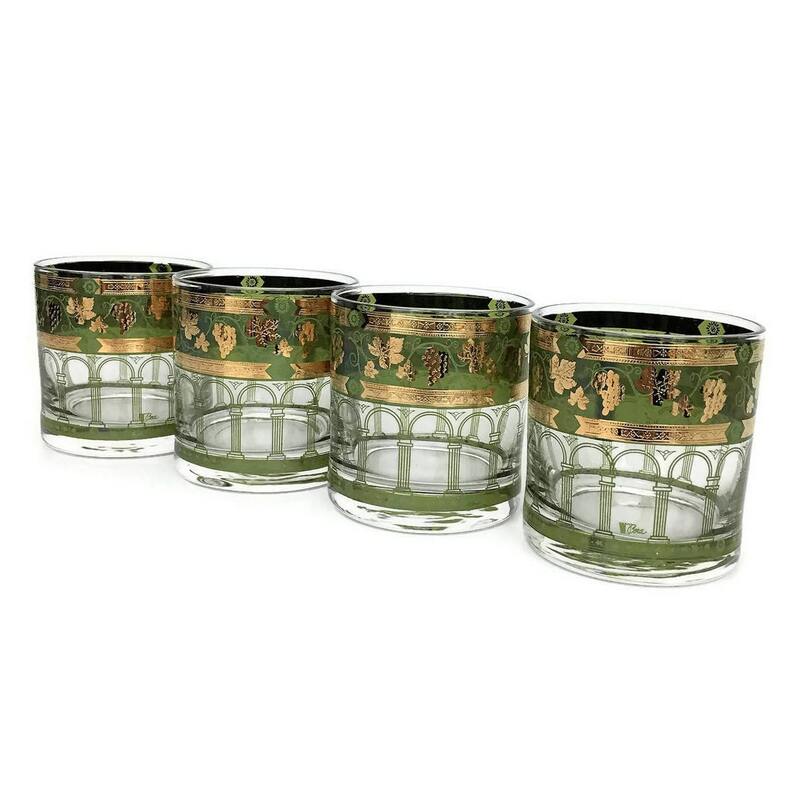 Like new set of 4 vintage Cera old fashioned bar glasses in the Golden Grapes pattern - green grapes, leaves and columns with 22k gold accents. 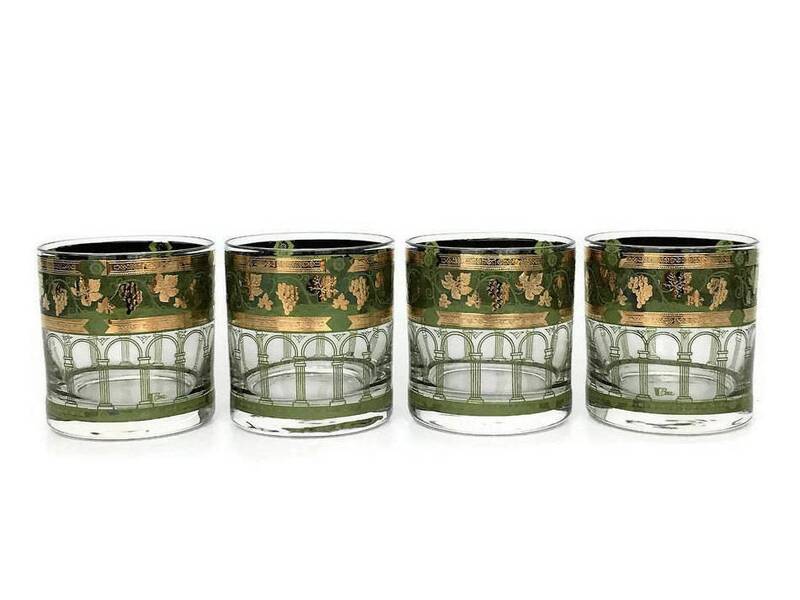 Awesome addition to any bar, especially the guy mad for all things mid century. 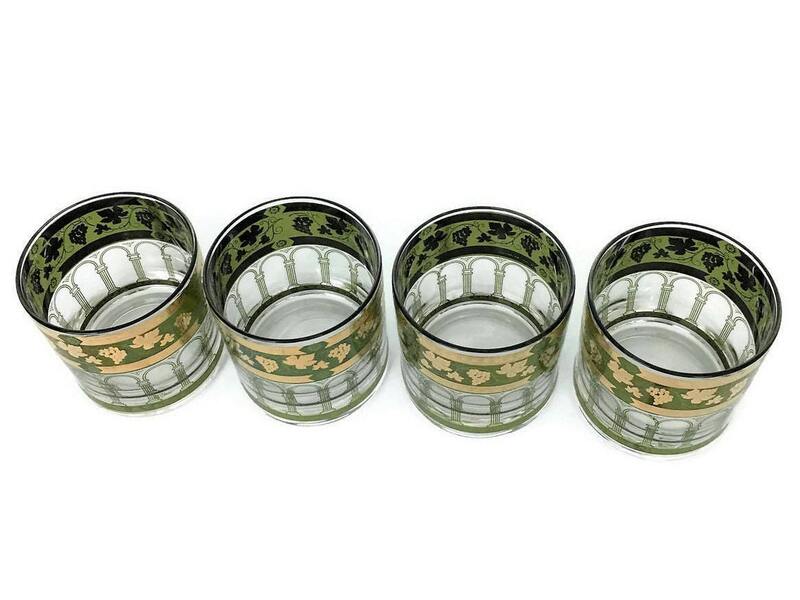 + Each glass weighs 10.1 oz.